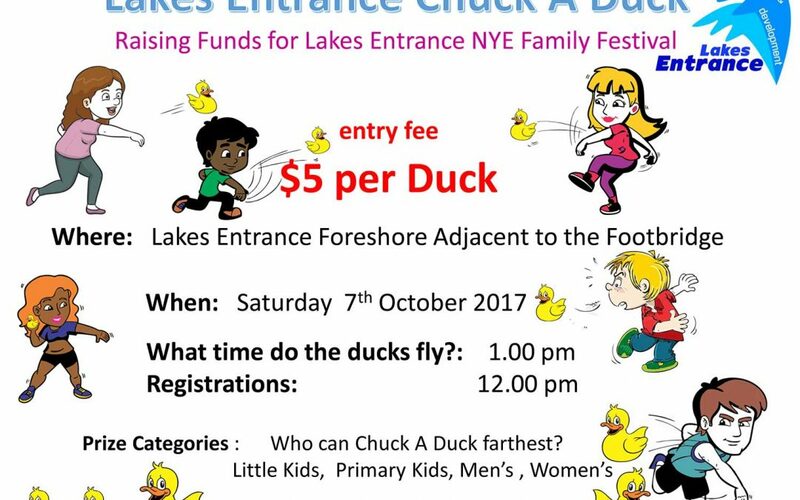 Raising funds for Lakes Entrance NYE Family Festival. LEADA is giving you a chance to test your throwing skills by seeing how far you can “Chuck-a-Duck”. Entry is $5 per duck, with several prize categories and give-aways. Where: Lakes Entrance foreshore, adjacent to the Footbridge. When: Saturday, October 7 – registrations at 12:00 noon and start Chucking at 1:00 pm.